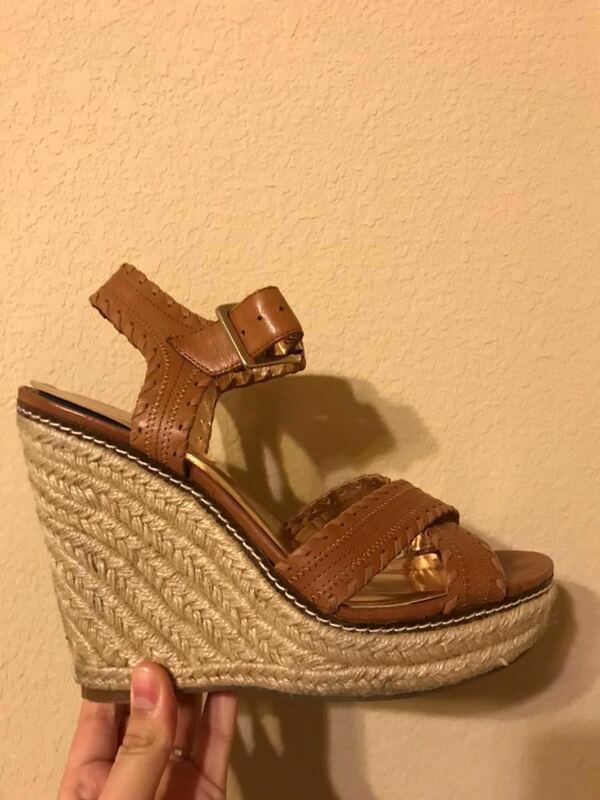 Tan espadrille wedge with gold buckles. In great condition! about a 3.5 inch wedge.